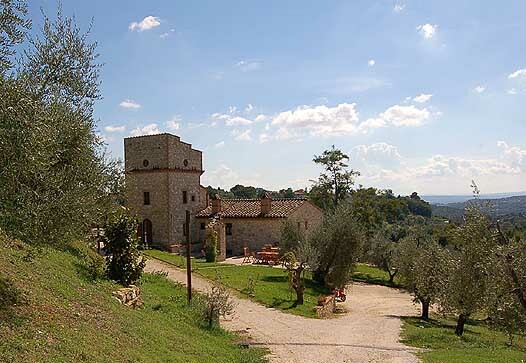 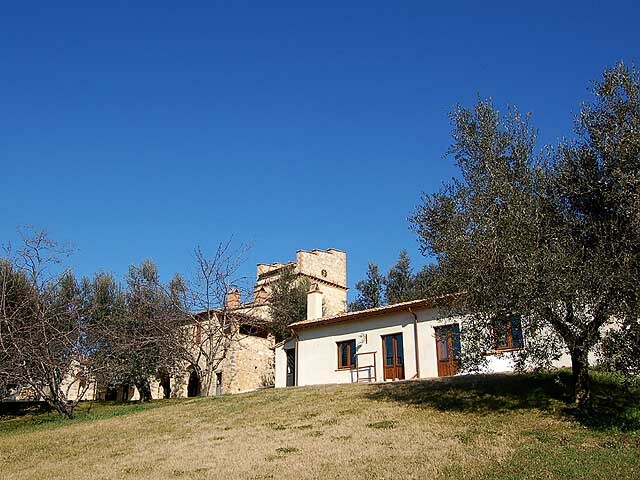 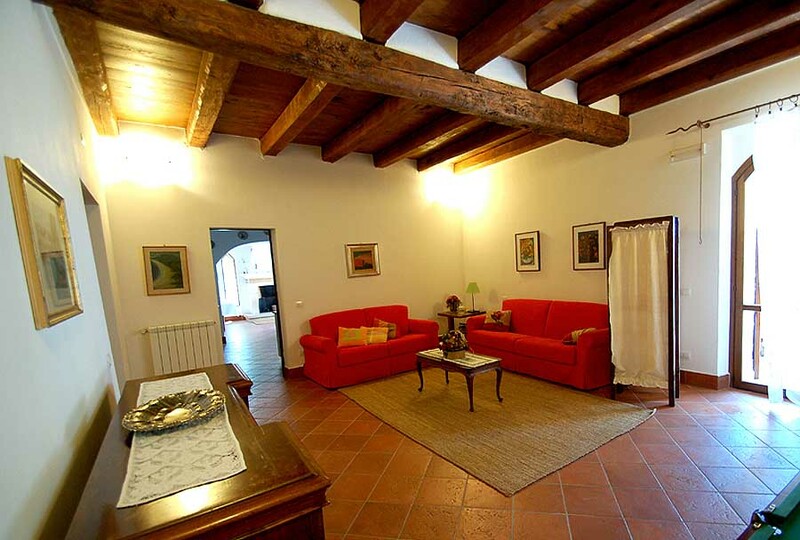 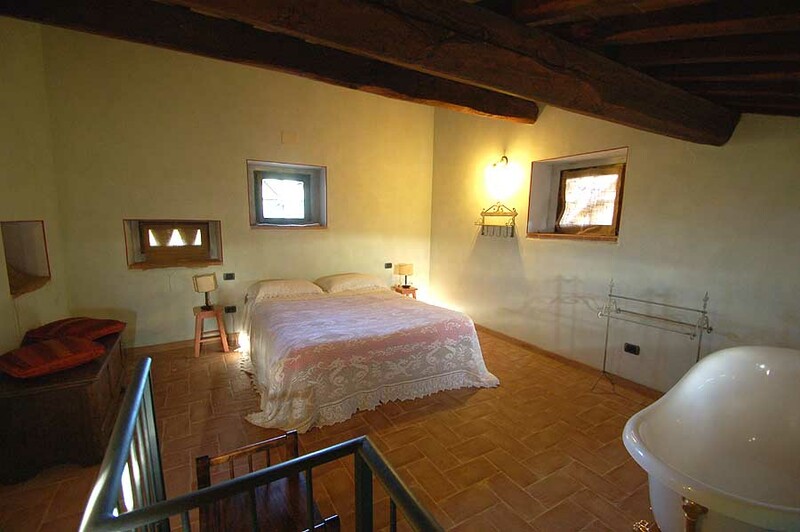 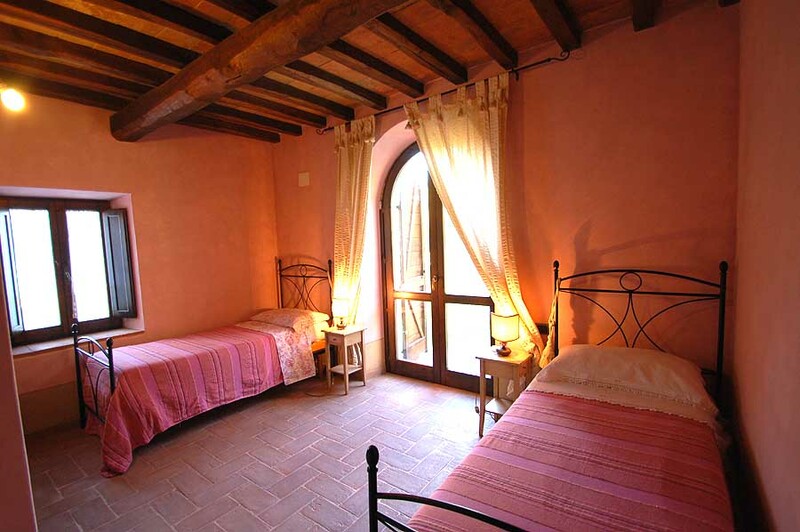 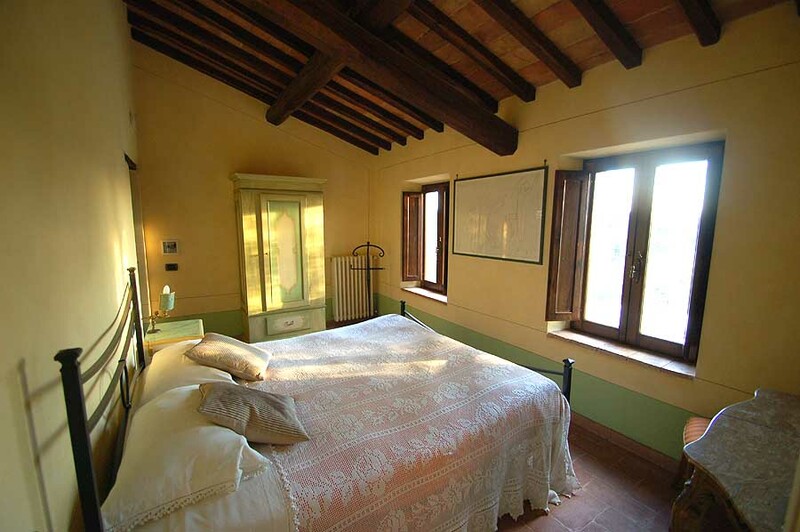 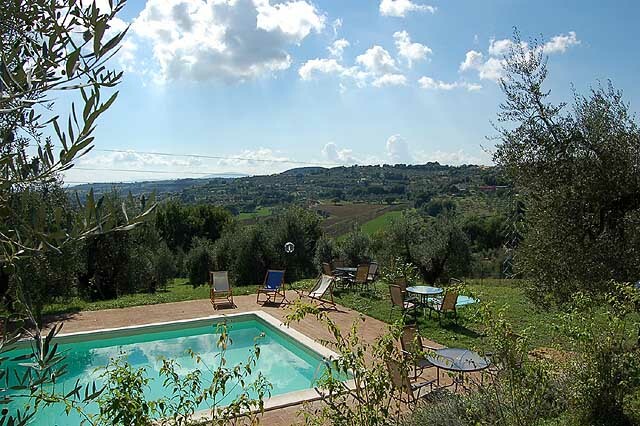 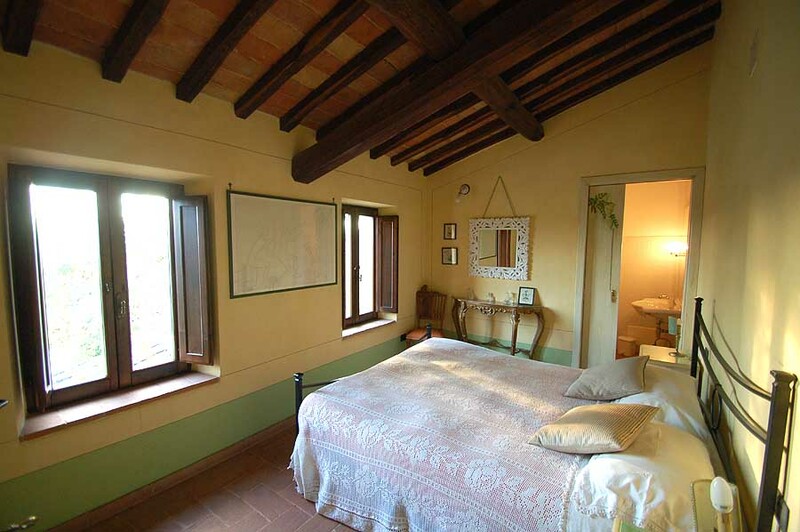 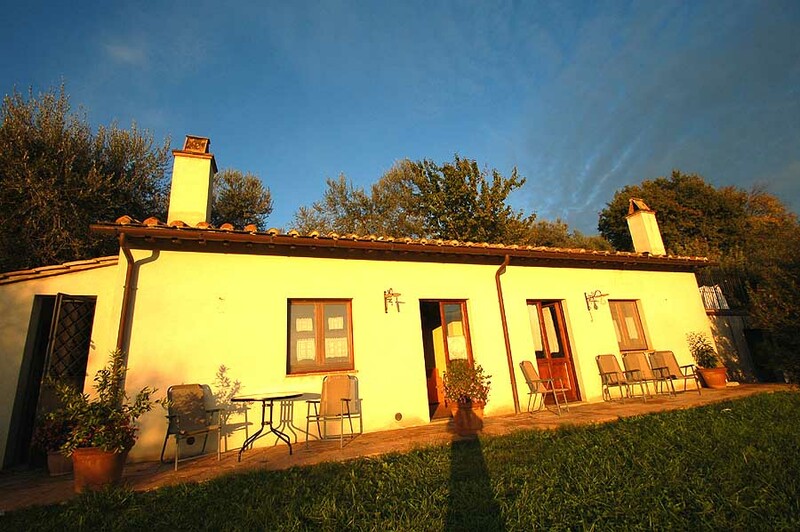 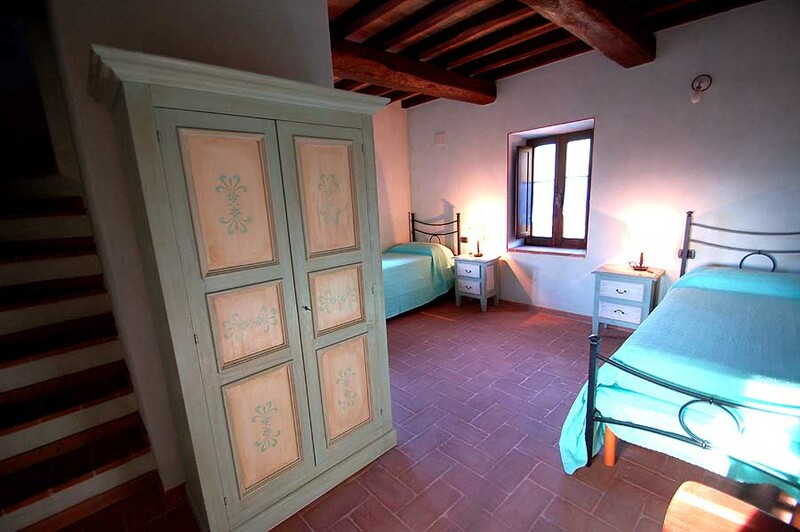 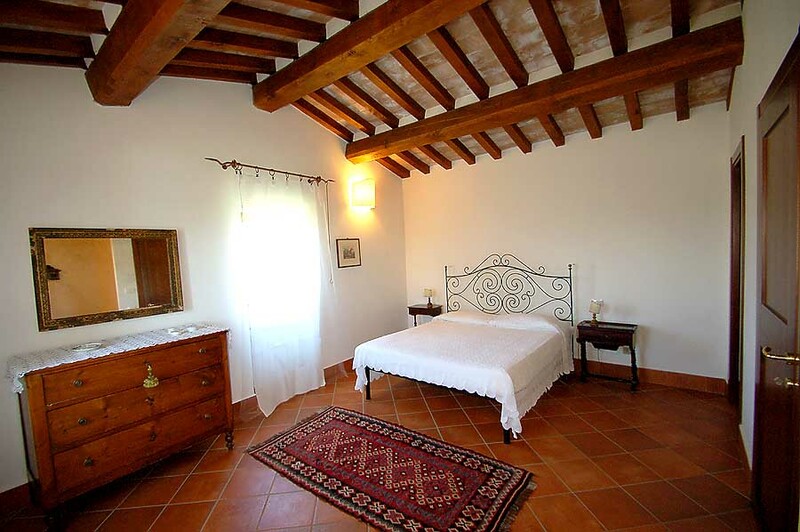 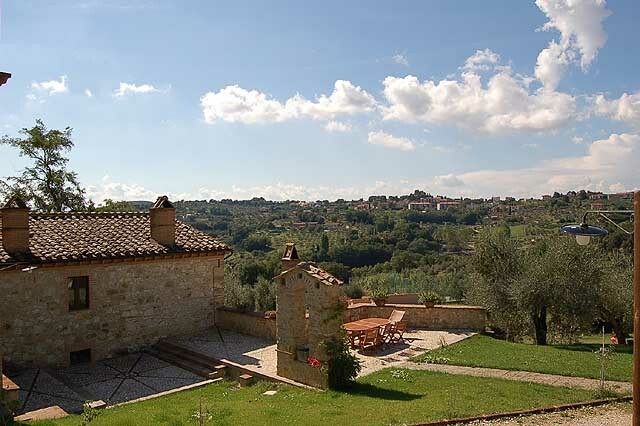 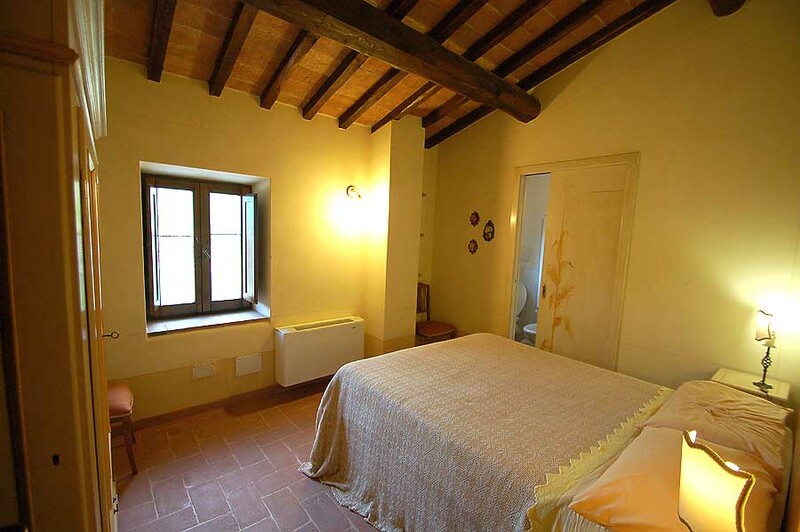 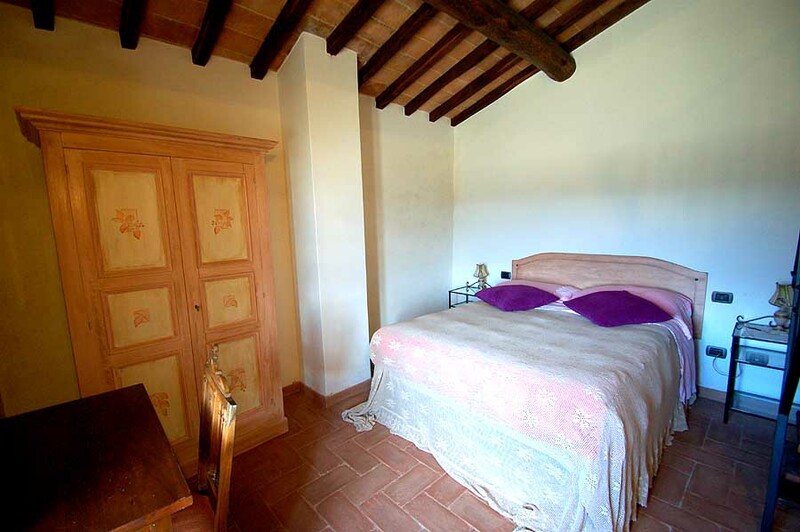 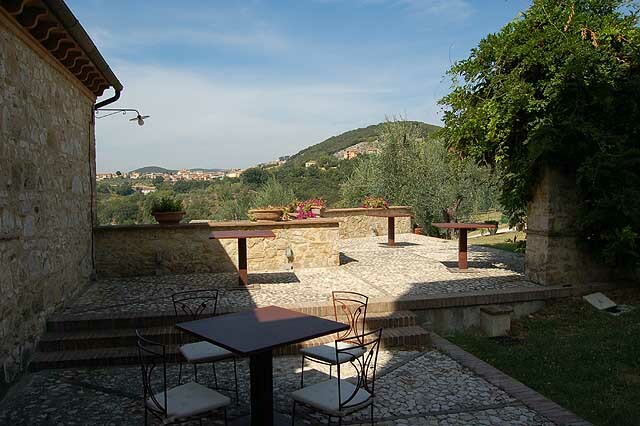 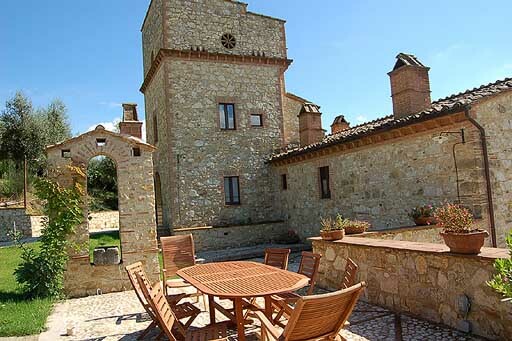 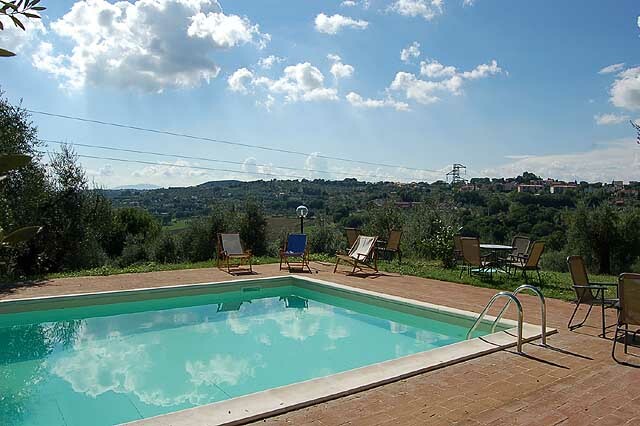 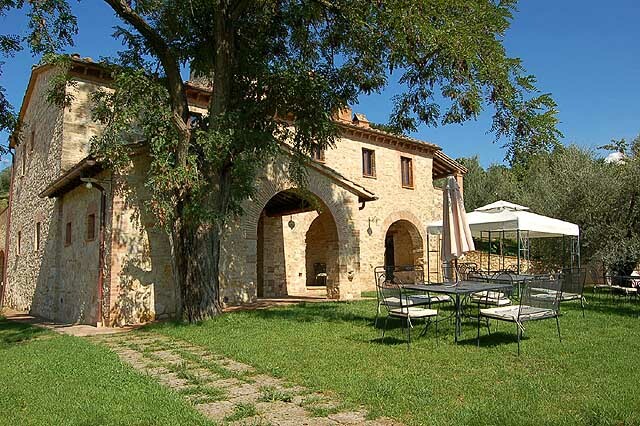 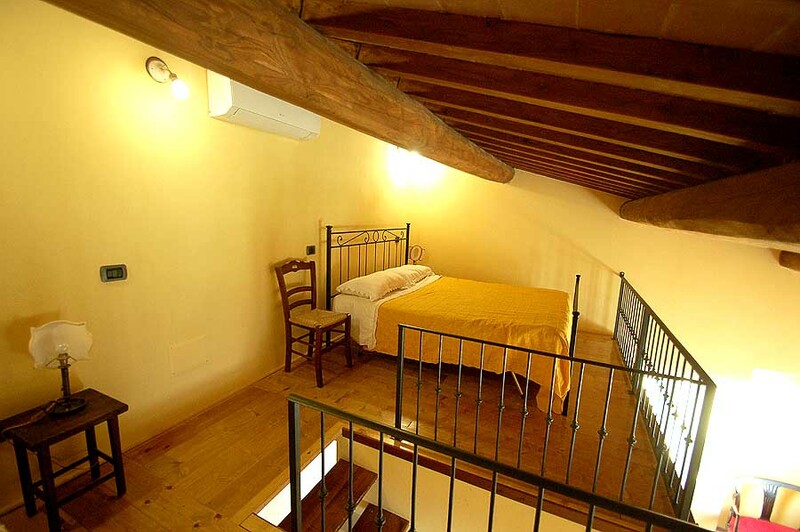 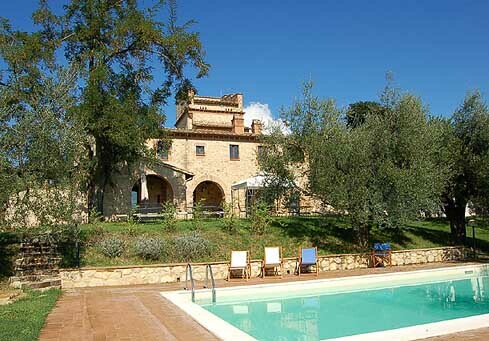 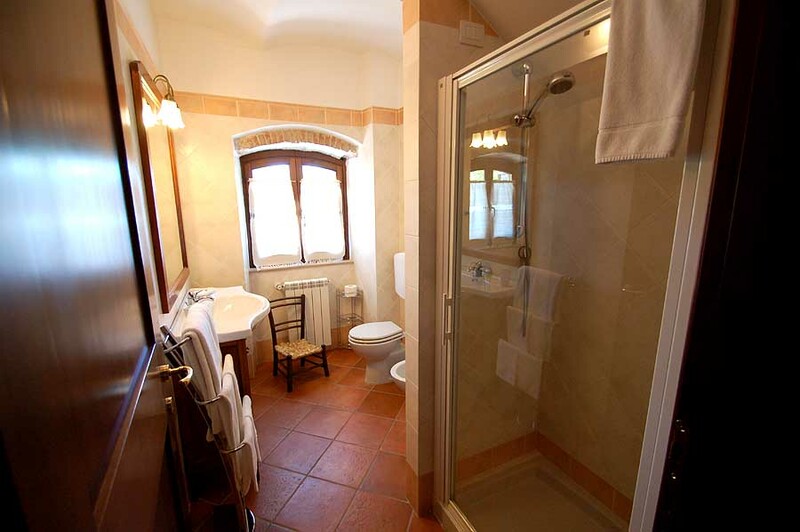 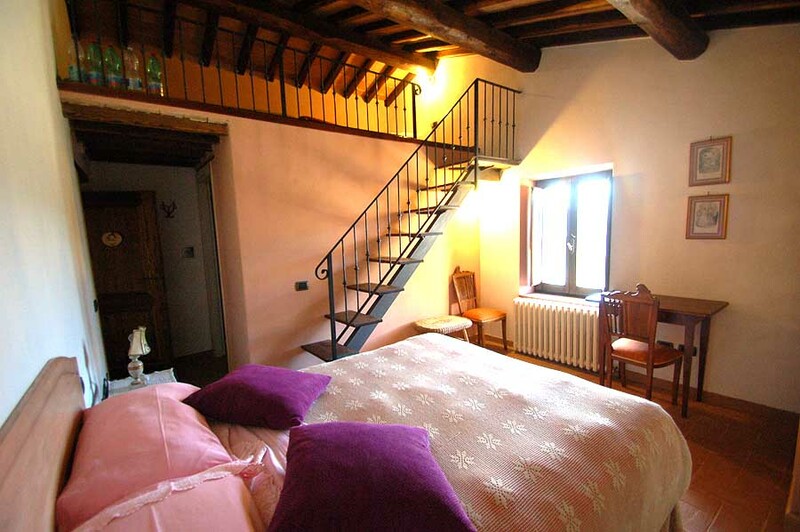 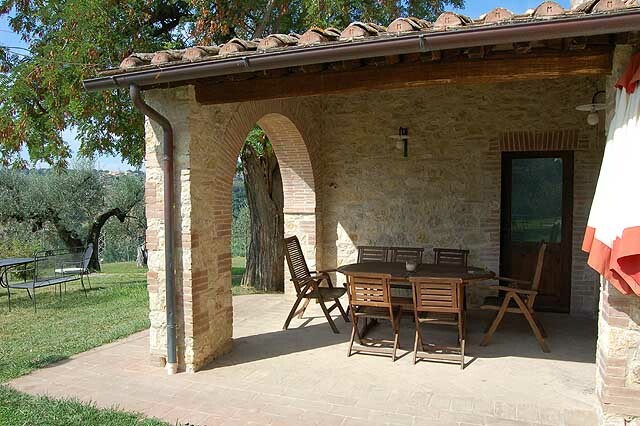 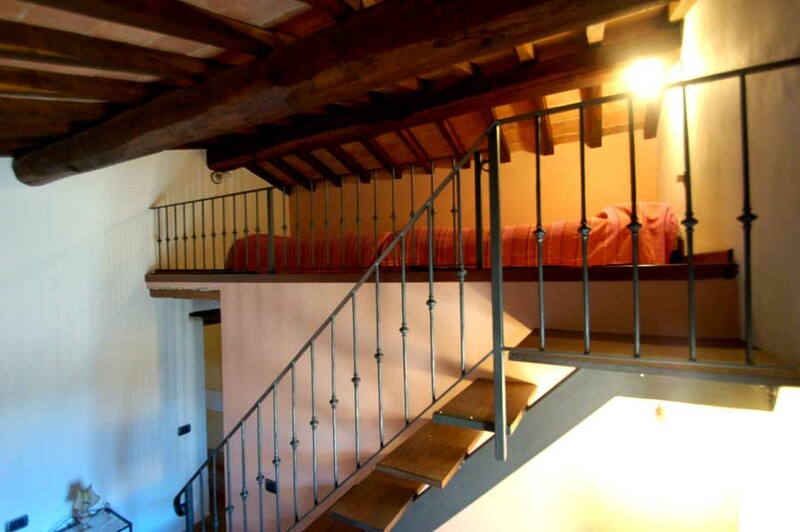 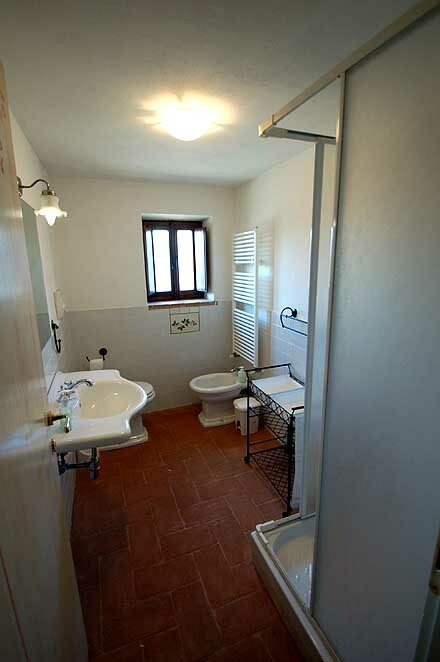 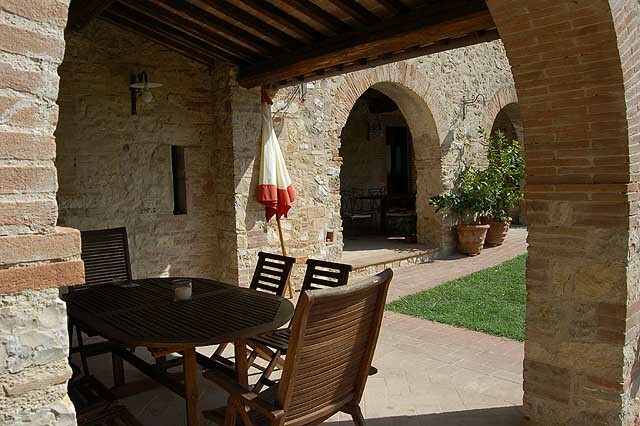 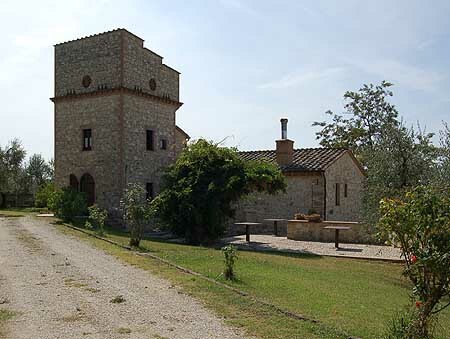 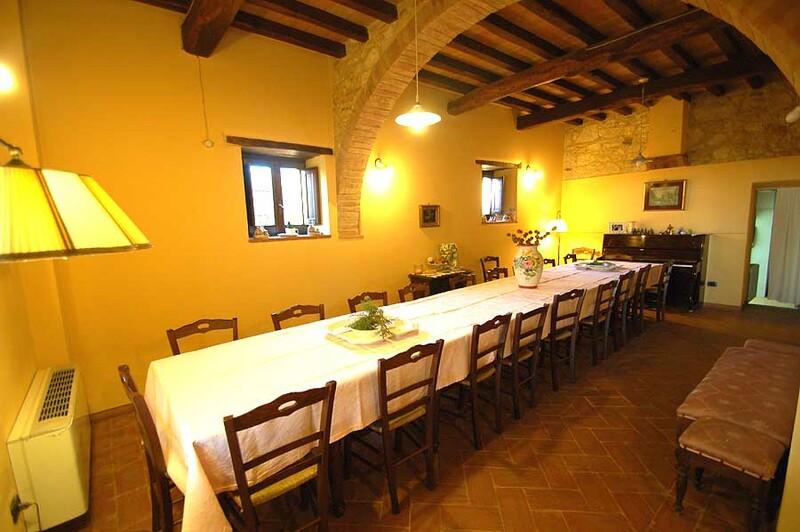 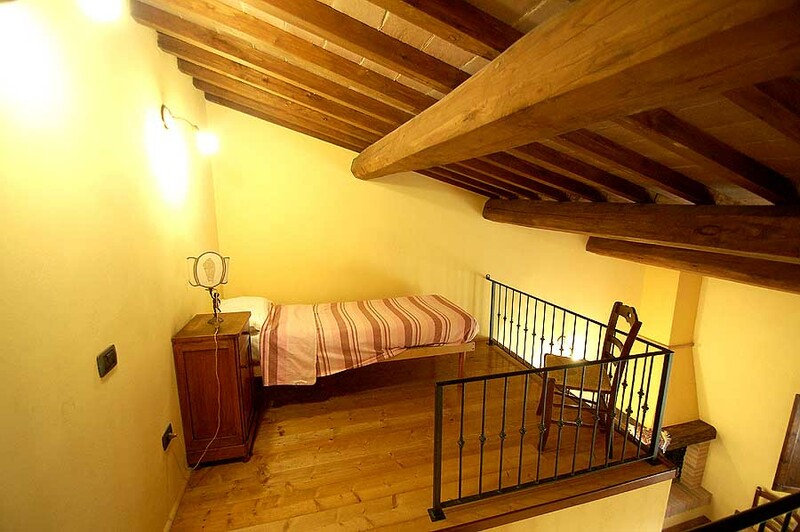 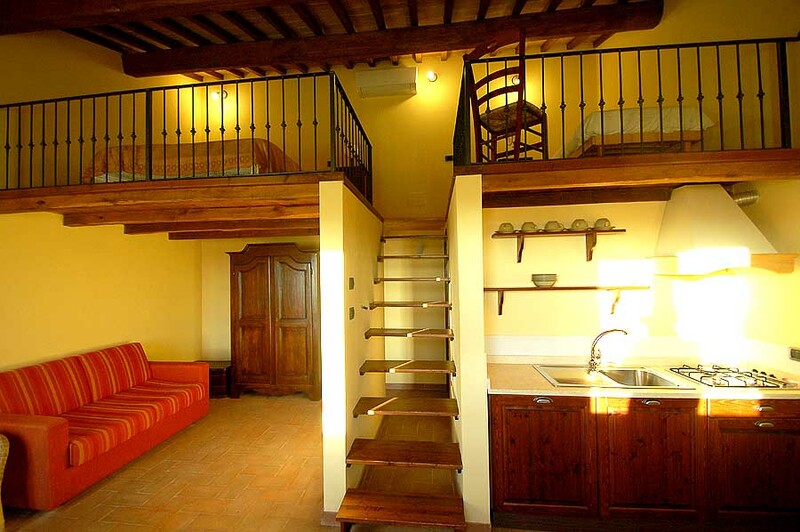 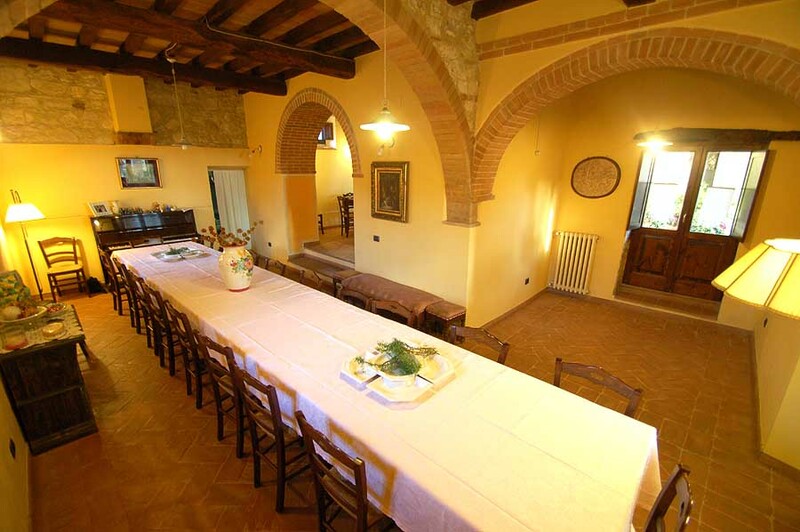 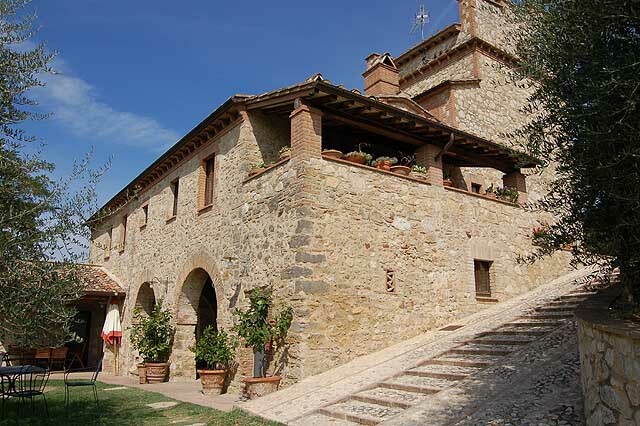 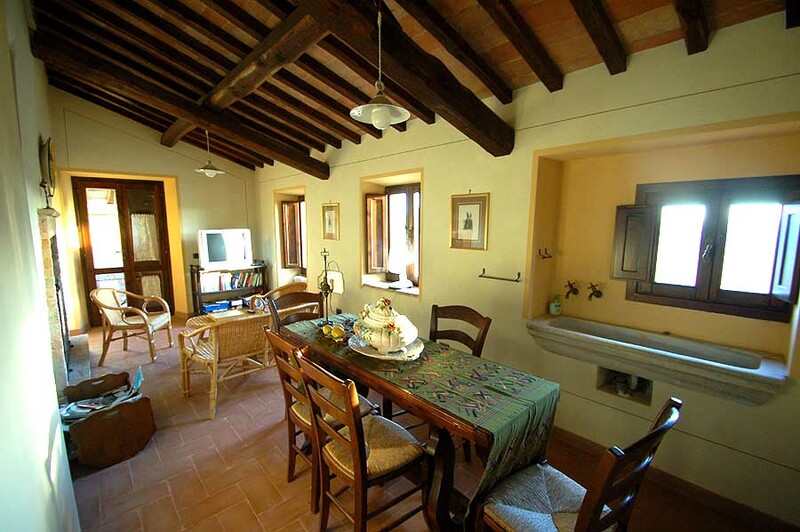 Villa la Torre lies 2 Kms from the town of Amelia, it has been restored maintaining the typical umbrian style. 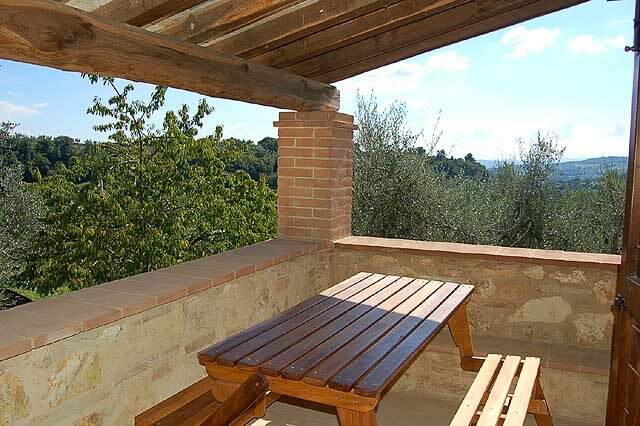 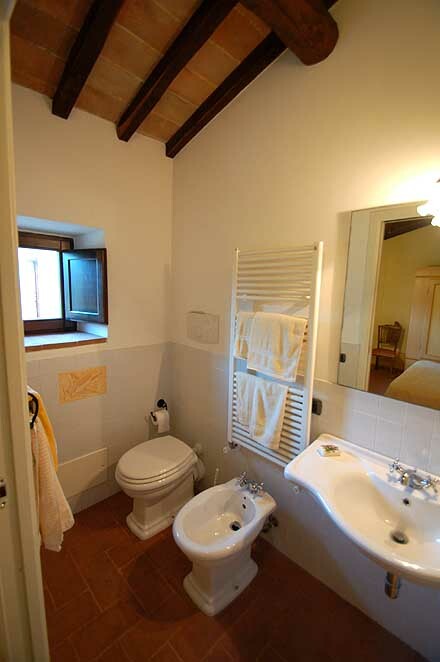 It is a quiet place with nice views on the surrounding landscape and the location grants much privacy. 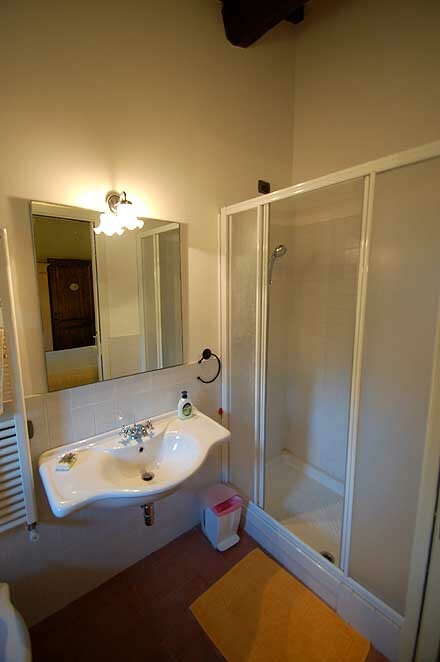 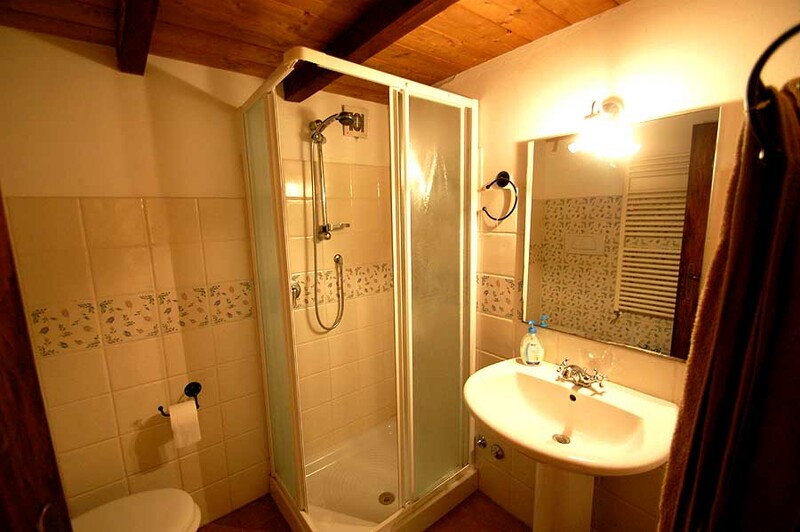 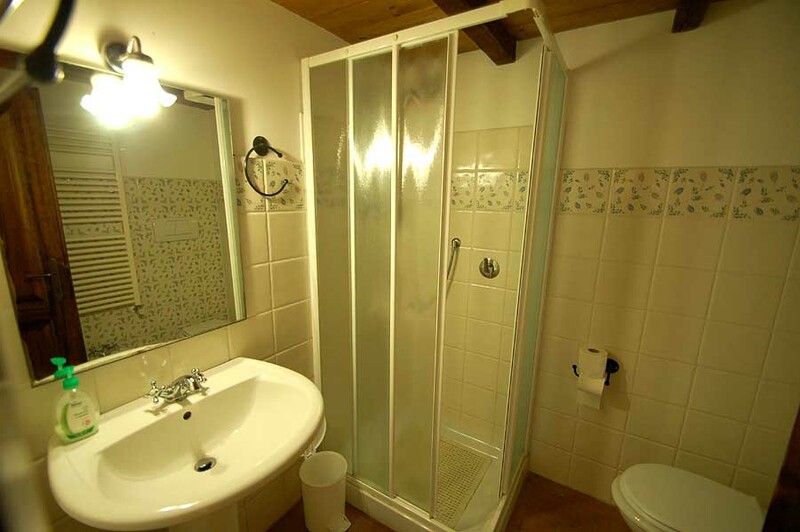 The property has a private garden with a 10x5 meter swimming pool for private use of the tenant. 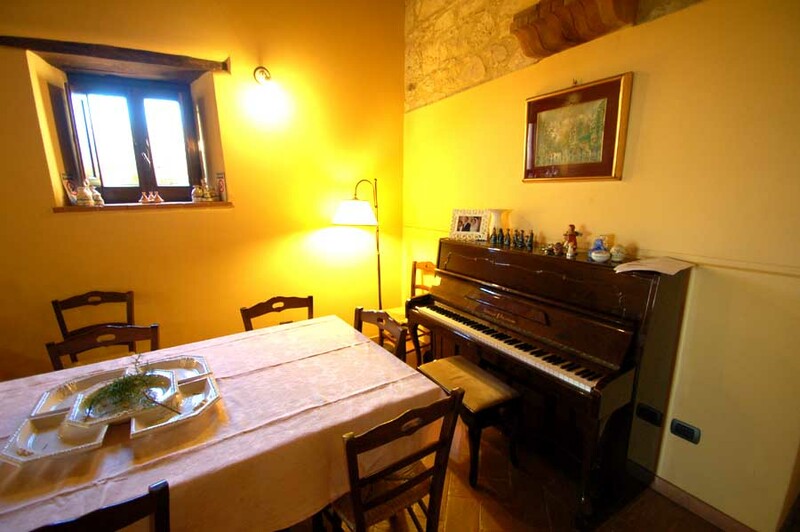 There is a large dining room equipped with tables and chairs for 30 persons, there is also a piano. 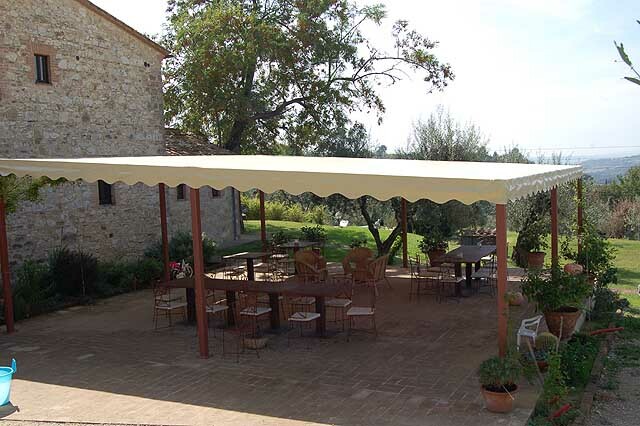 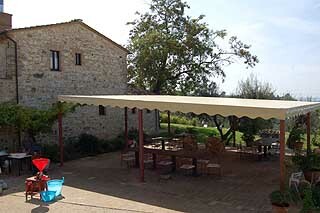 It is also possible to eat all together outdoors, there is a large covered terrace (with sight on the town of Amelia) with tables and chairs for 40 persons. 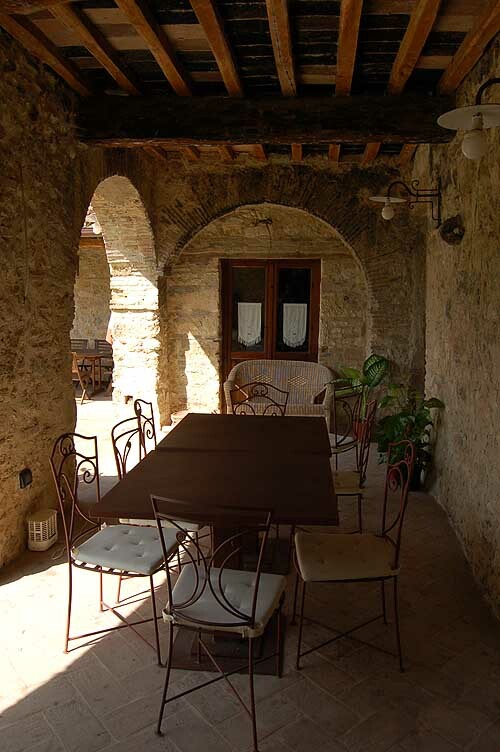 There are also some other terraces and porch all equipped with table and chairs. 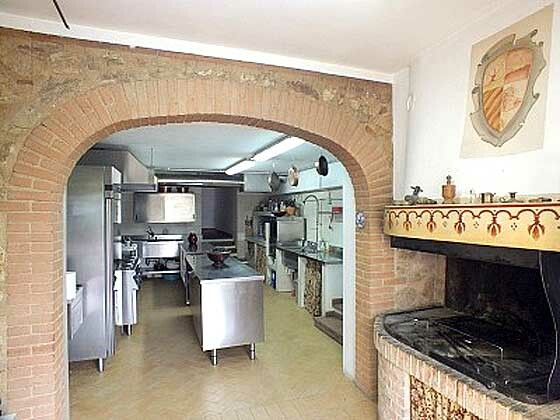 To cook you will have at disposition a professional kitchen with open fire (it lies close to both the dining room and the large covered terrace). 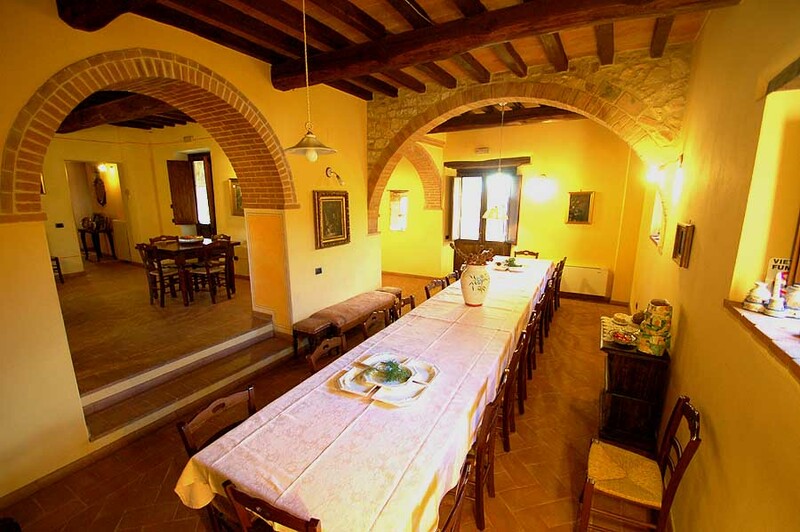 On demand it is possible to hire a cook to prepare a dinner directly at the villa (usually local dishes). 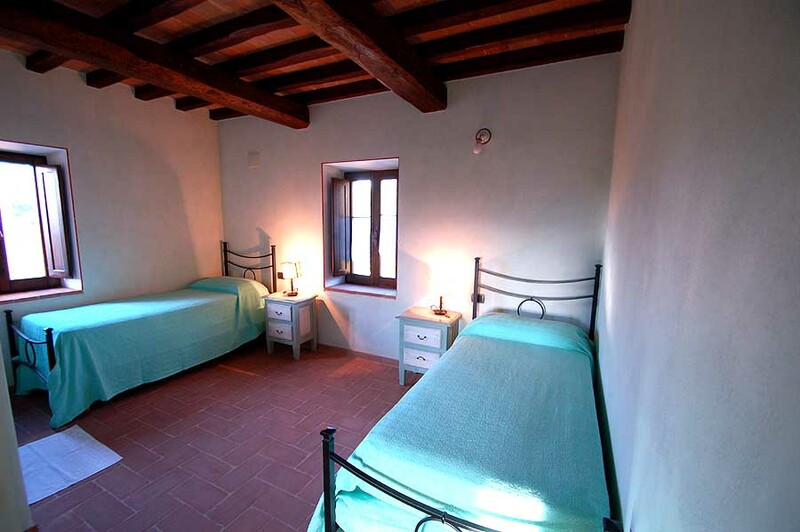 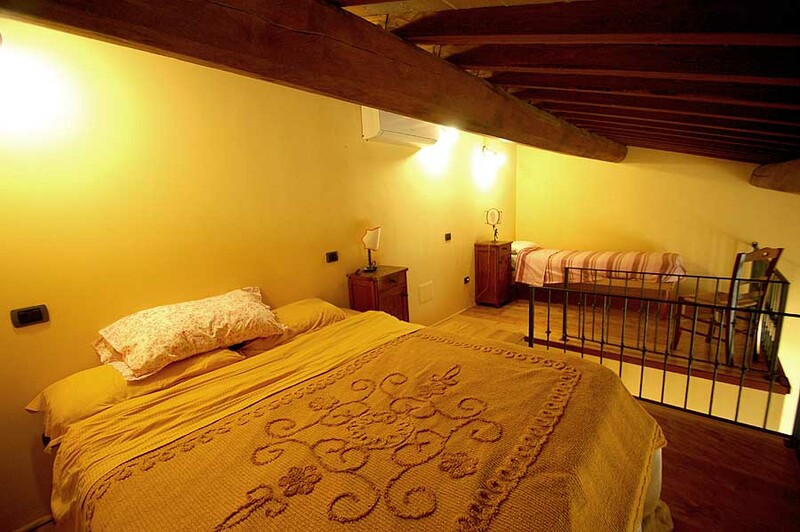 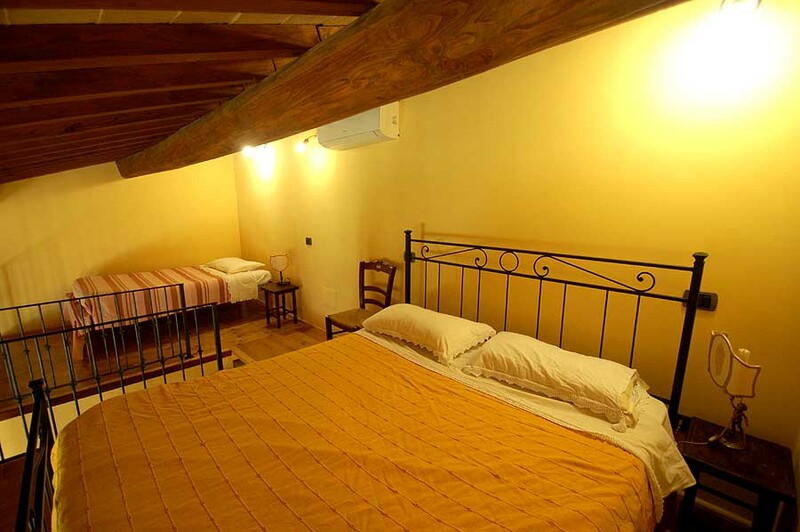 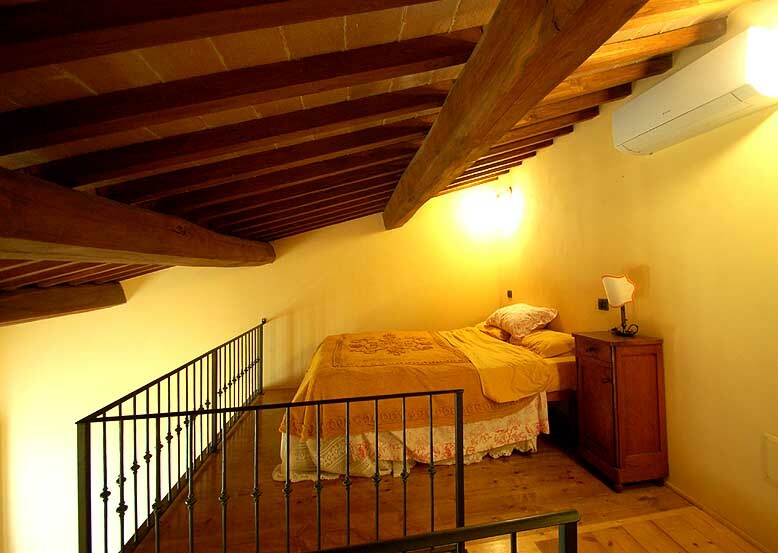 The main villa has 6 bedrooms for a total of 12 bed places + 2 extra beds + 2 mattress for children. 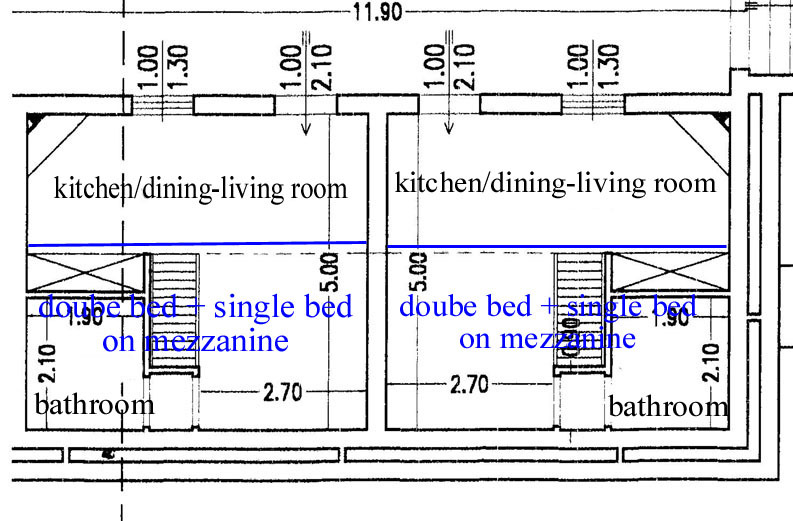 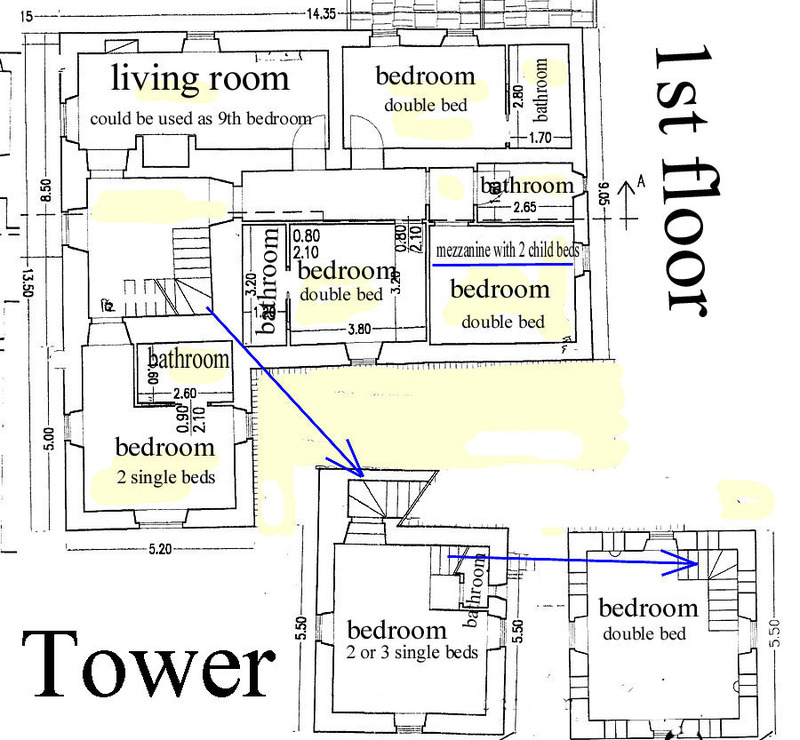 The dependance is subdivided into 2 small units, each with 5 sleeping places (double bed + single bed + double sofa bed). 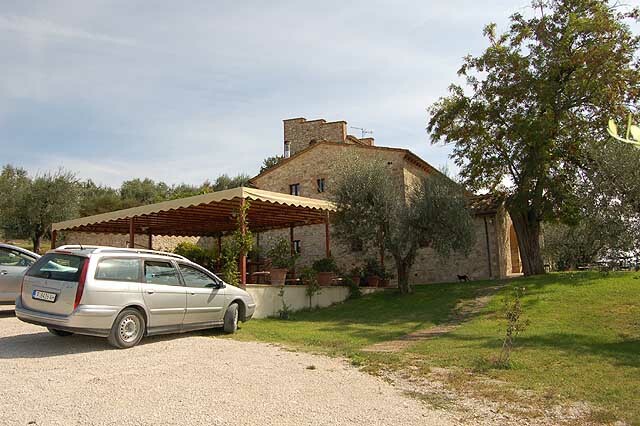 All the necessary shops (supermarkets, bakers, etc) are available in the town of Amelia. 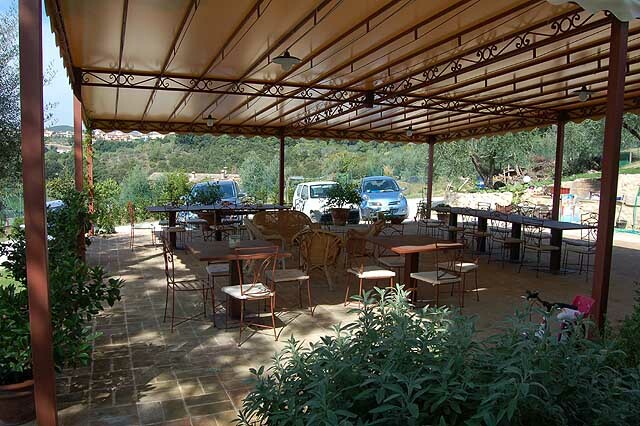 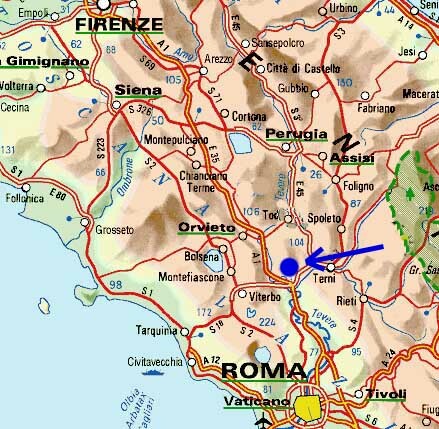 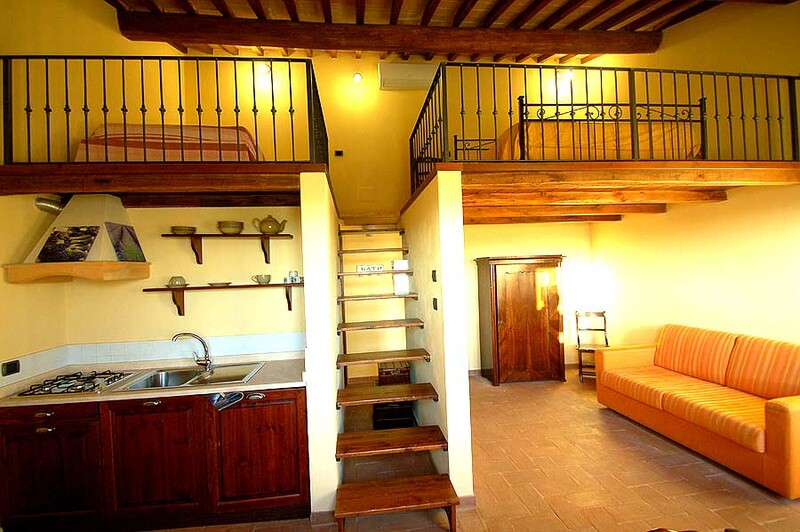 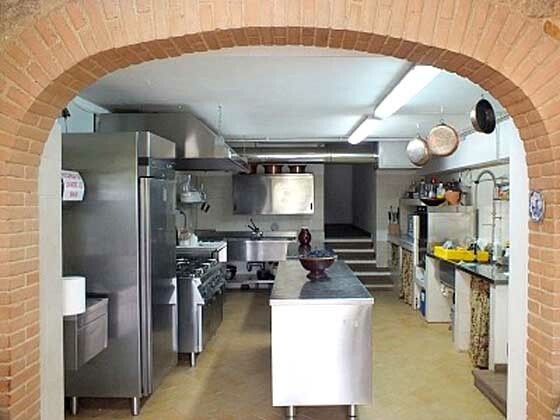 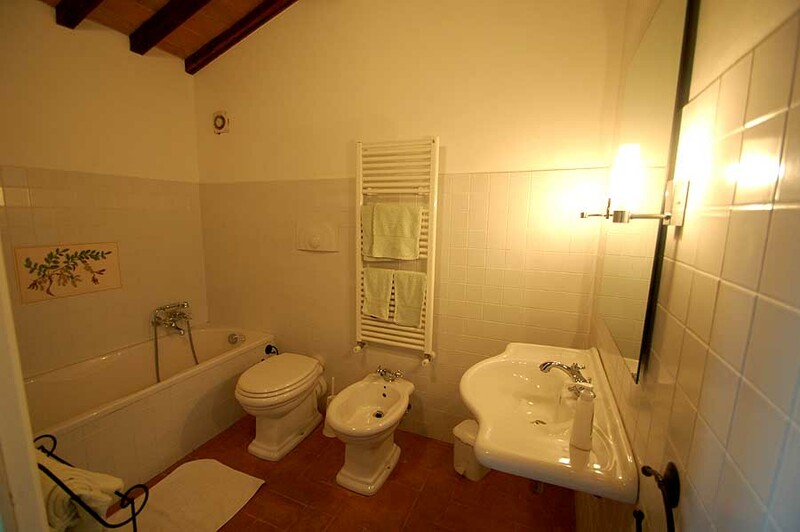 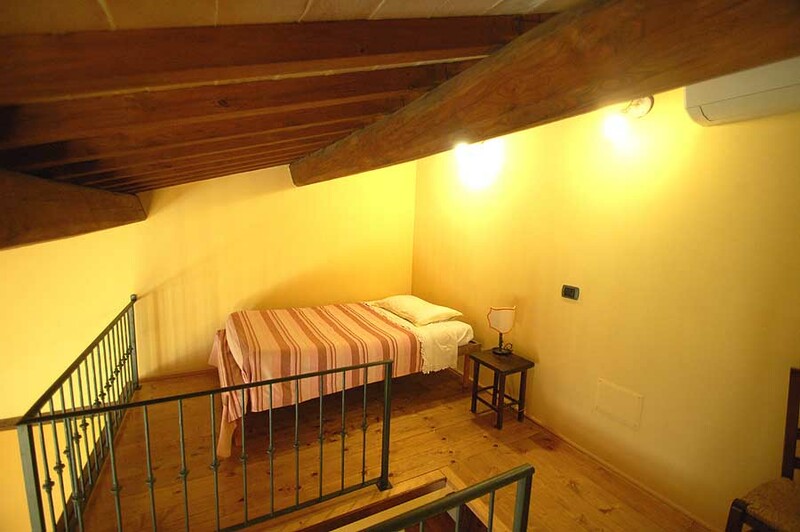 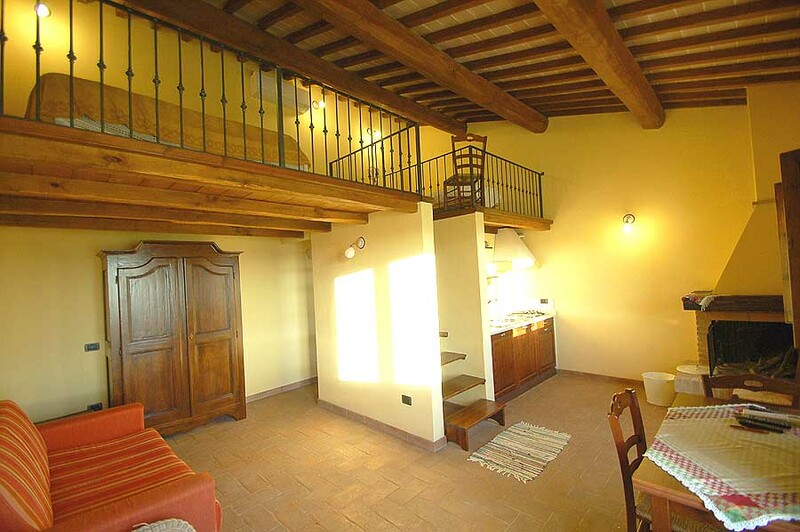 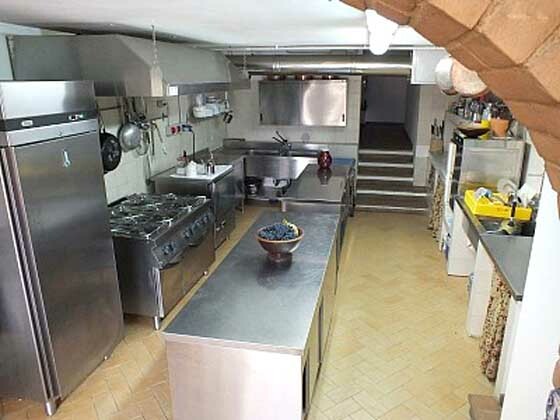 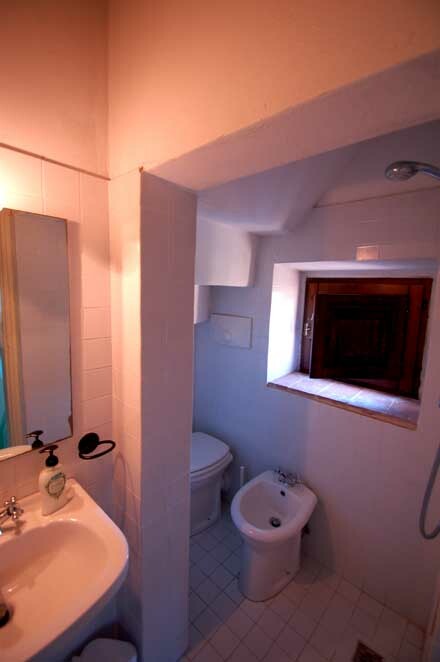 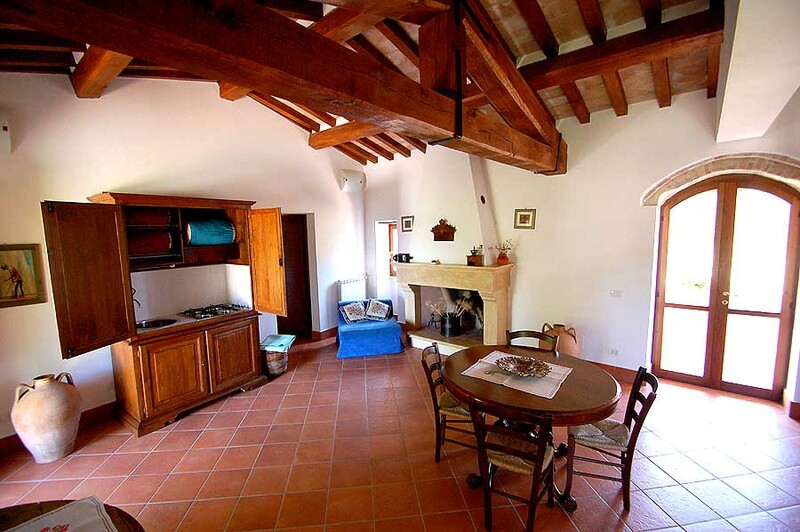 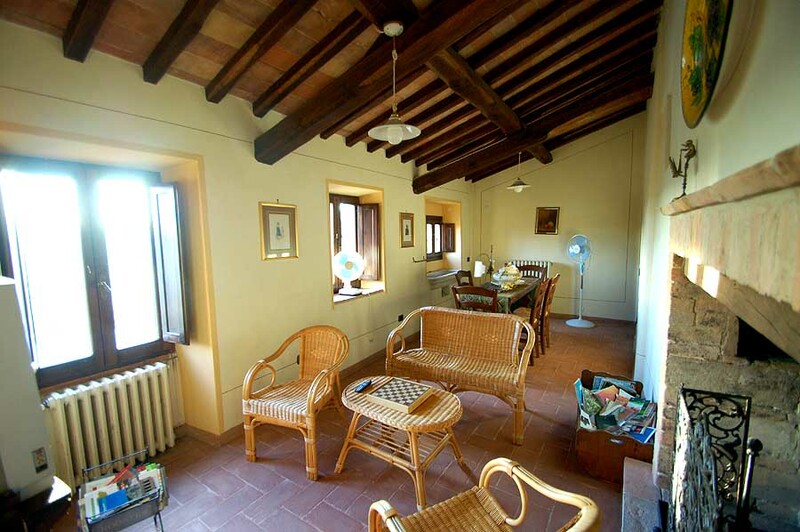 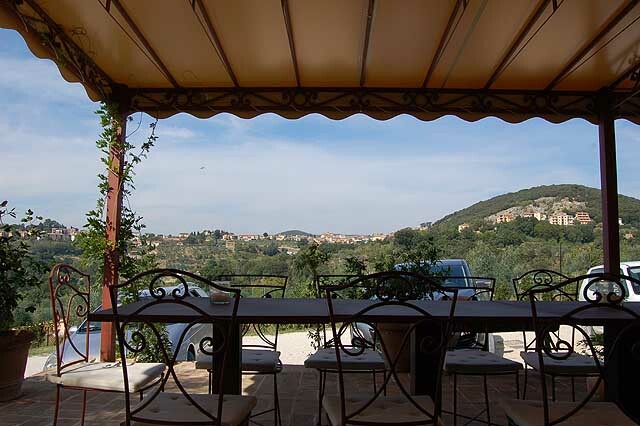 The nearest restaurant/pizzeria is 1,5 Kms from the property, more restaurants are available in and around Amelia. 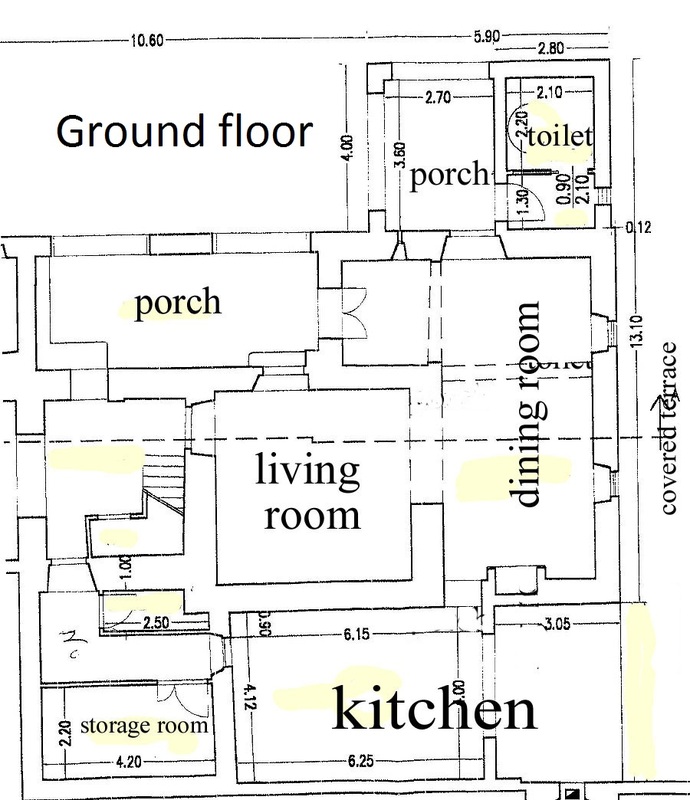 The nearest exit of the highway is 15 minutes from the property.